In August/September 2018, all members of the CDPP were invited to complete a short questionnaire to evaluate the impact of the CDPP network. The KT Team would like to thank you for your time and effort to complete this questionnaire. All participants (researchers, trainees and community partners) acknowledged the value of translating CDPP research findings to a non-academic audience. However, some researchers and trainees indicated that they did not have the knowledge and skills to translate their CDPP research findings to a non-academic audience. Almost all researchers and trainees mentioned that the KT consultation service is of value for the CDPP network. The results of the Annual Questionnaire will be used to further optimize the KT support service to CDPP researchers, trainees, and partners. An infographic including the key findings of the questionnaire will be available in December 2018. 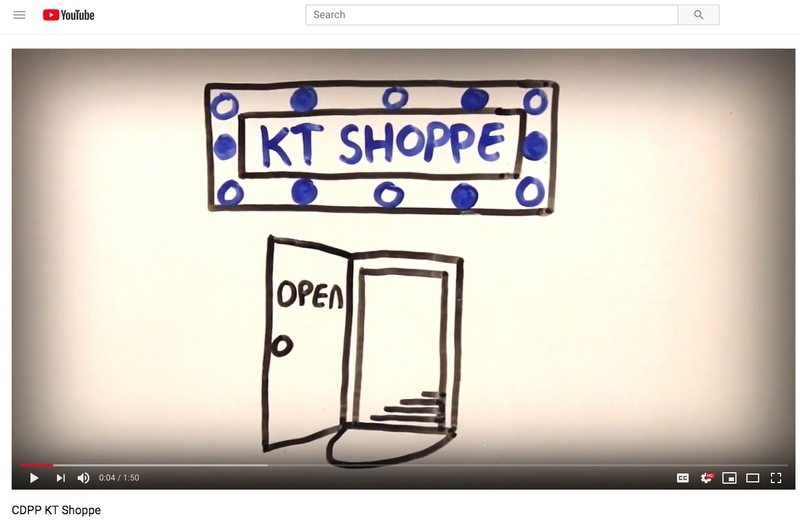 Our KT Team created an animation video to explain the procedures of the Knowledge Translation (KT) consultation service, also known as the KT Shoppe. The KT Shoppe is a KT consultation service for CDPP researchers, trainees, and partners. Click here to watch the video and learn more about the KT Shoppe. 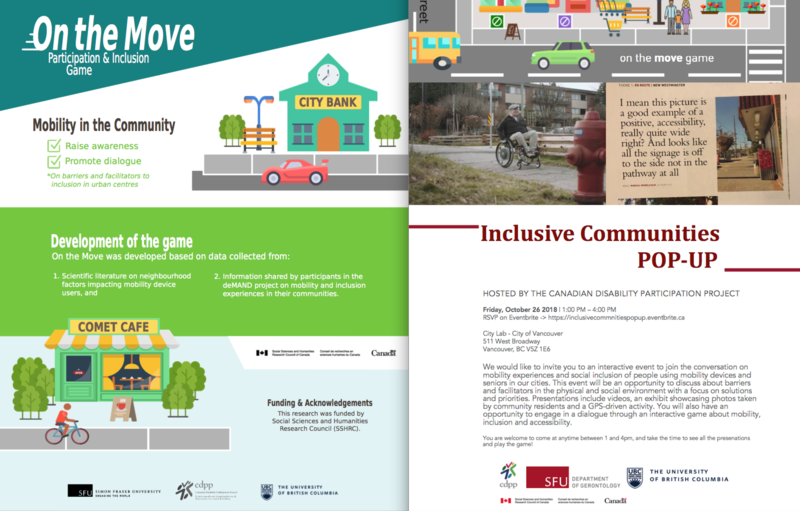 The CDPP's Family-Focused Sport and Exercise Team is excited to share the second issue of their newsletter, now named Ability Insights. 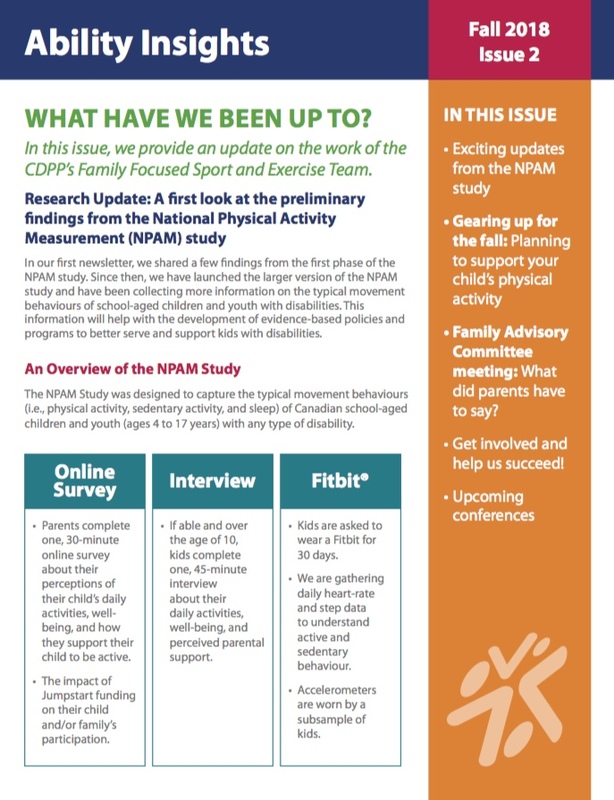 In the second issue, we share a few preliminary results from the ongoing NPAM study, provide updates from the first Family Advisory Committee's meeting, and share an evidence-based way for parents to continue supporting their child's physical activity. We hope this newsletter connects our readers to the research we are working on and provides families with the resources to support kids with disabilities to be active! The Mobility Team recently hosted two events to showcase the results of the dEMAND project and to promote dialogue about the barriers and facilitators to participation in the environment, with a focus on solutions and priorities. For these events, the team developed a game called On the Move to raise awareness about accessibility. Over 175 individuals attended these events, including local and national policy makers and members of advocacy groups. 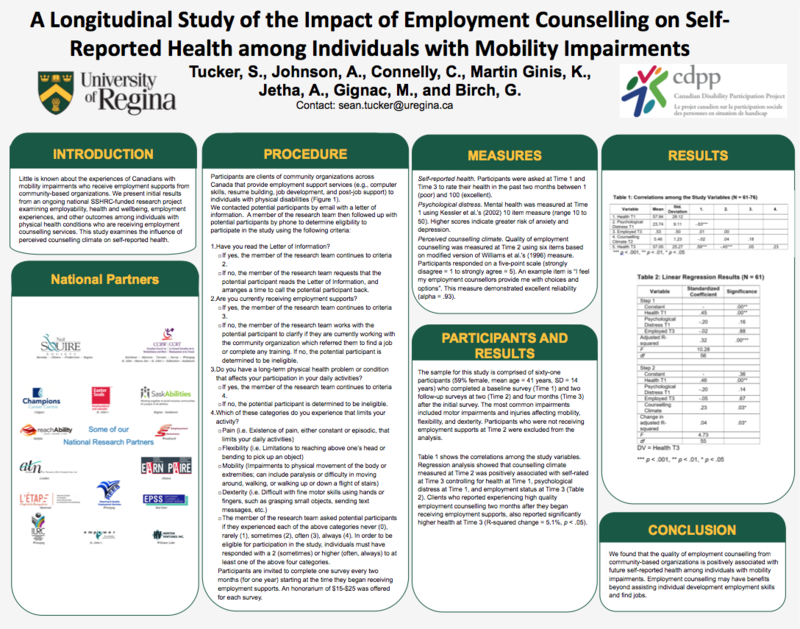 Members of the Employment Team are conducting a national longitudinal study that explores factors that contribute to the development and outcomes of employability in individuals with physical disabilities. Preliminary results presented at the Canadian Association for Research on Work and Health (CARWH) conference in Vancouver suggest that high quality employment counselling may be associated with improved self-reported health.